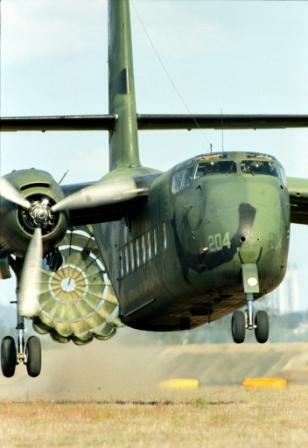 The DHC-4 is a twin-engine tactical short take-off and landing (STOL) transport airplane, developed by the Canadian company De Havilland Canada. The DHC-4 made its first flight in 1958. More then 159 airplanes were delivered to the US Army. The Australian Air Force - whiich ordered 18 airplanes - flew the Caribou from 1964 till 2009.